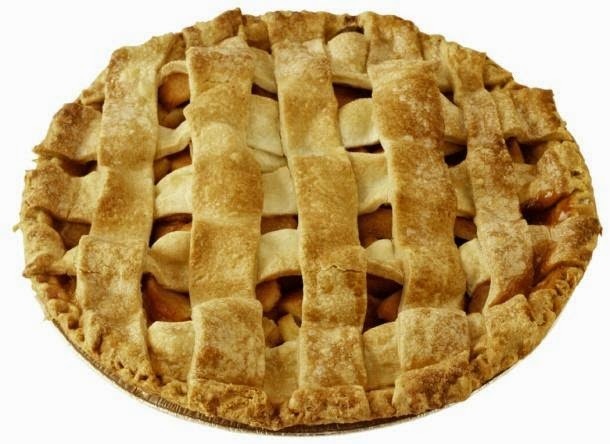 Click here for the village newsletter! Let's not lose the Doodle - can anyone help take it over? Click here for the main Doodle and here for the extra Jottings! This year our Harvest Thanksgiving Service will be on 21 September at 4 pm. 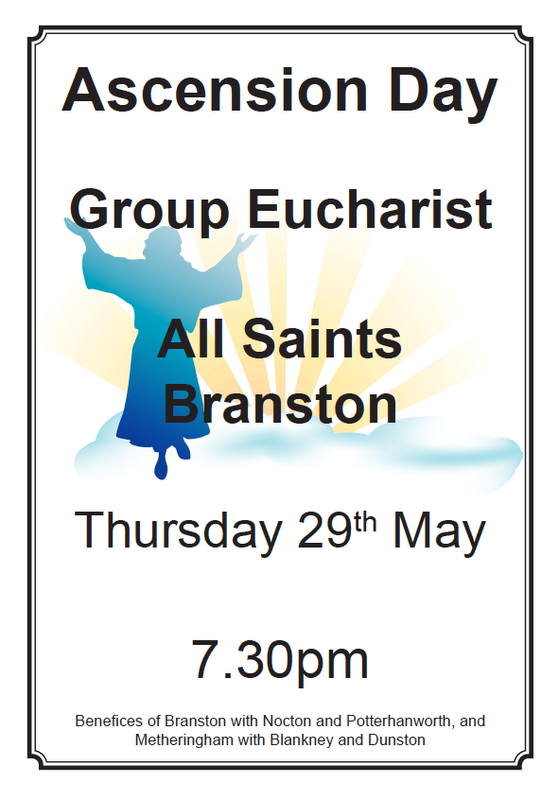 This will be followed by the ever-popular Harvest Supper – please contact Ann Kennedy 01526 322739 for tickets. The study of wildflowers within the sector in the churchyard has been completed for this year. It created interest with passers-by and the judges in both rounds of the Best Kept Village competition. So what have been the findings? Some of the flowers were easily recognised; Dandelions, Daisies, Primroses and later in the year Cow Parsley. Those perhaps not so well known though still relatively common were Cuckoo Flower, Herb Robert, Purple Dead Nettle, Ground Ivy and Bugle. These were present in other areas within the graveyard but a number of species were found only in this area. This was because they were able to grow and flower due to the area not being mowed as usual. These included Common Persicaria, Creeping Buttercup and Lady's Smock. Hopefully these will have been able to seed and spread further within the graveyard. The study will be continued next year using another area within the graveyard. Meanwhile there has been the offer of some wildflower seed which could be sown in areas within the graveyard where at present little appears to grow. Fundraiser - thanks to Janet! 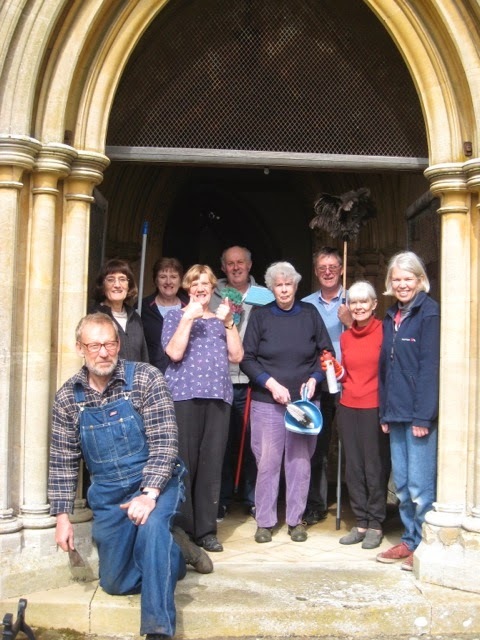 Janet Goldsworthy hosted a Body Shop Party on 10th July to raise funds for Nocton Church Restoration Fund. Over 20 people attended the event and £250 was made. Janet would like to thank everyone who attended*, placed an order or bought a raffle ticket. And a big thank you to Kirsty Wilson our local Body Shop rep who ran the event. Much fun was had by all trying various treatments, aromas and potions, drinking wine and eating cupcakes! * so would everyone at All Saints! With thanks to Julie Partridge for this report. We are very grateful to all who contributed, not least to Julie and to Jane Kania, for organising the event. Something very special happens when you invite 90 fashionistas to a Fashion Show in Nocton Village Hall. Oh what a night, of glamorous models strutting the catwalk with panache and eager customers wanting their chance to enjoy a beautiful bargain. Lincs Fashions brought their summer collection of High Street Fashion and tempted us to buy tops, gilets, jackets, jeans and the occasional posh frock. The atmosphere was good humoured and those who ran to bring the bargain to the customers were fit and very fast! After the silent raffle winners were declared (silently) and the last drops of wine were polished off by our fun loving ladies, All Saints Church became the benefactors of £522.50. That is something special and for which the organisers are very grateful for. Well done to everyone who contributed through buying tickets, giving time and talent as well as the prizes to make this a very enjoyable event. 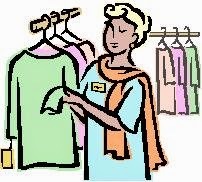 We hope to host another show in Nocton next year but if you can't wait that long take a look at Lincsfashions.com to see when they might be appearing in a village near you. 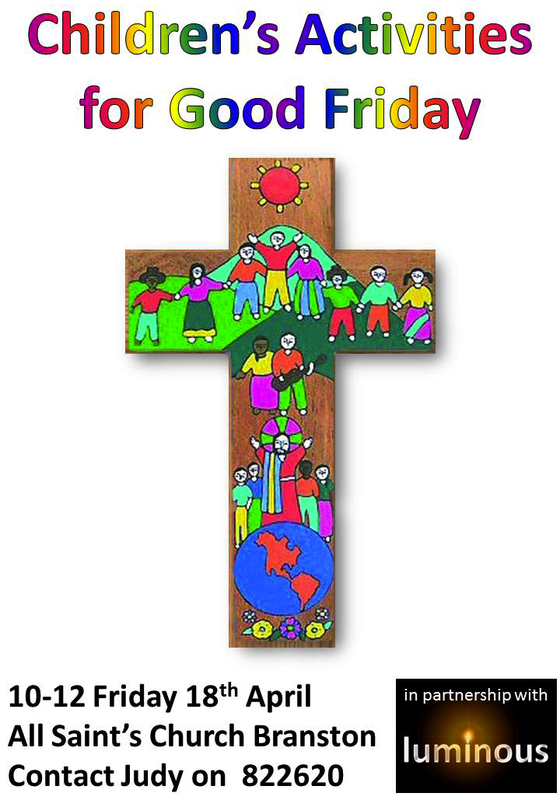 The children’s activity team and Rev. Jonnie Parkin took the video prepared by the children in Dunston School to the Methodist Chapel in Dunston for a workshop on Saturday, 28 June. 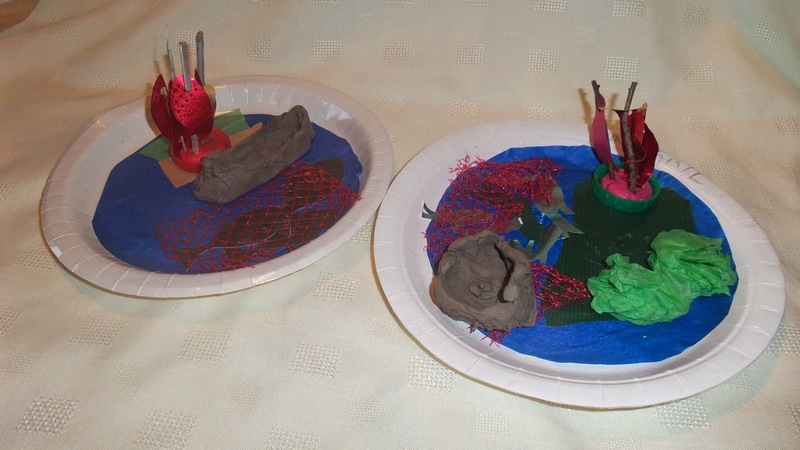 Children, including Paddie and Lydia from Nocton, watched the videos, and then responded with a craft response, involving creating a fishing scene on a paper plate, with blue tissue paper for the Sea of Galilee, a clay boat, a net and fish. They made pipe cleaner people which were then fastened together to make a church, standing on a base of rock from the Lincoln Cathedral quarry. There was also a big fish made up of CDs, which overlap and catch the light like fish scales. 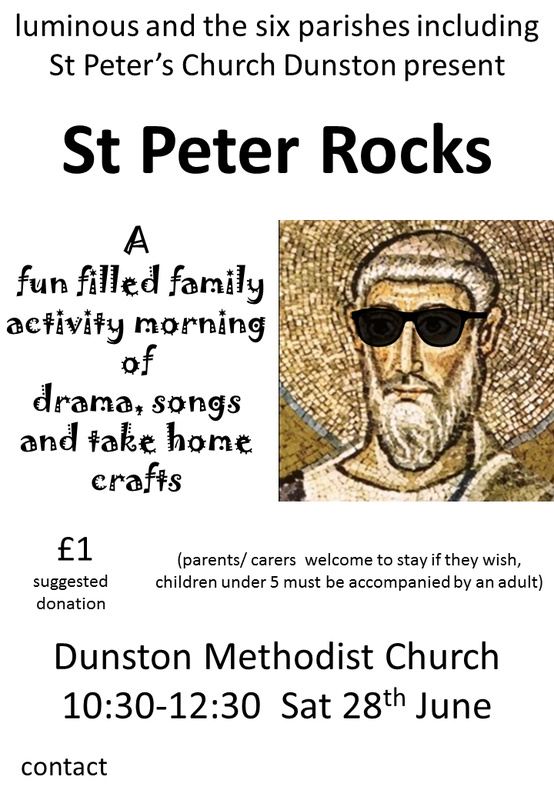 On the next day, the Sunday of St Peterstide, there was a group service in St Peter’s Church, Dunston, when both the videos and the crafts prepared by the children became essential components in the worship. Click on the link for the June Doodle! 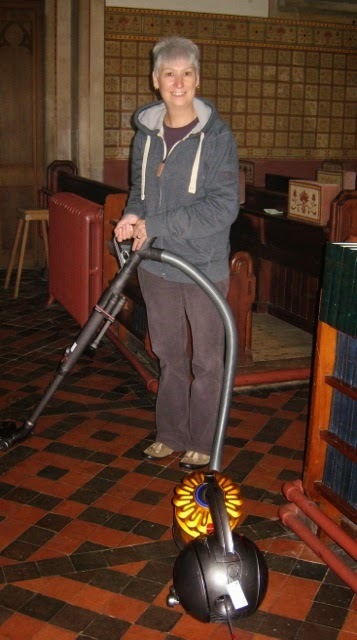 Sir James Dyson has generously donated a vacuum cleaner to the church. It will certainly make our job much easier and more efficient. 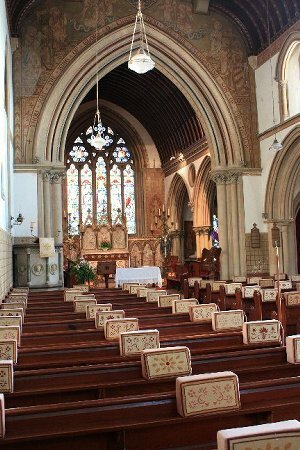 If you are interested in helping to care for our beautiful church, please give me a ring. It is not a big commitment. Rather late in being posted - sorry! Enjoy the music, with strawberries and cream and a complimentary glass of wine in the interval, all included. 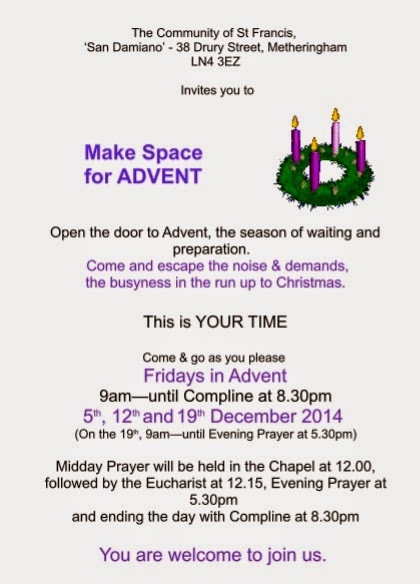 In aid of church repairs. Click here for the latest Doodle! A very Happy New Year to all our readers. Wishing you every blessing in 2014.
then shop with over 2000 well known retailers who will give us a donation. It won't cost you a penny and you can even save money with special offers and vouchers. Please register today and help us raise funds! 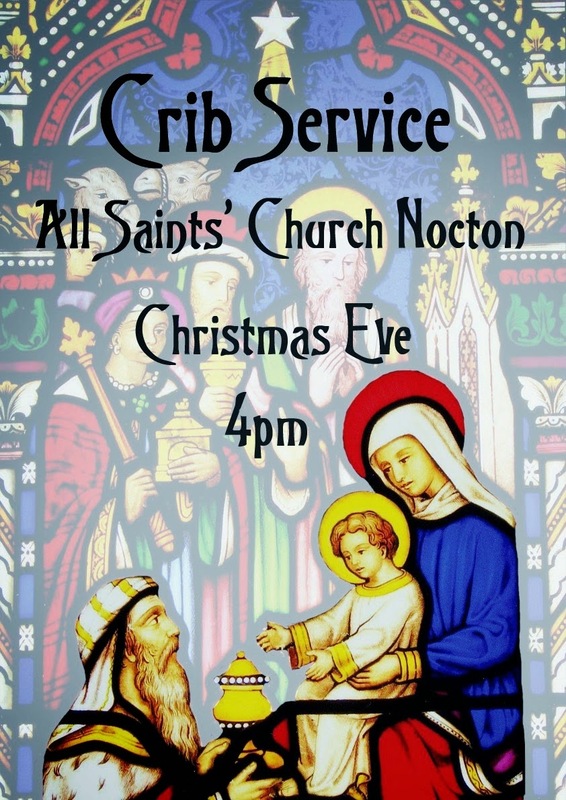 Our crib service on Christmas Eve was a very special service. The children participated in the nativity story by bringing up the nativity characters to place them in the stable. We all held a lit candle to reinforce that Jesus is the Light of the world. The candlelit church looked beautiful, especially so when the lights were turned off and we all sang" While shepherds watched their flocks by night". We enjoyed a mince pie before we went home with our families, a welcome pause to stop and think, amongst all the bustle of Christmas. 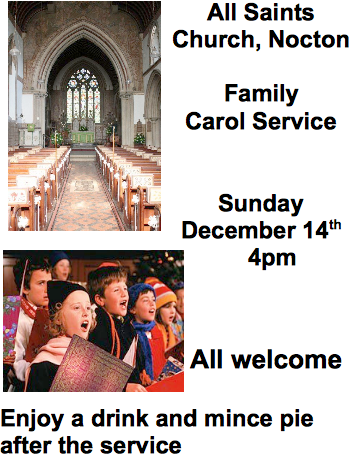 The concert of Christmas Music given by the Banovallum Singers in All Saints Church on 13 December was a very enjoyable event. The church looked gorgeous with fresh greenery and candle light, and the singers liked the excellent acoustic and the warm response of the audience. Everyone tucked into the seasonal refreshments and wine or juice at the interval. Including the raffle and the sale of generous bunches of fresh holly donated by Linda Coxon, the event raised £287 for repairs to the church.